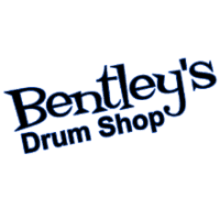 Established in 1992, Bentley's Drum Shop started out with 8 drum sets and a few sets of sticks. 25 years later Bentley's is a multi-award winning drum shop with customers all over the world and still growing! We carry the best from DW, Zildjian, Ludwig, Sabian, Gretsch, Meinl, Tama, Paiste, Pearl, Mapex, Sonor, and much much more. Plus we have an extensive Vintage Drum & Cymbal collection! With over 11,000 sq. ft we have everything for the drummer.